Several Democrats have claimed that the president’s emergency declaration could “raid” or “take money away” from military pay and pensions to fund construction of the border wall. But the basis for their claims — a news story — says the Pentagon may use “leftover” funds in those accounts due to lower-than-expected recruits and fewer early retirements. An Associated Press story said the Army missed a recruiting goal by 6,500 enlistees, and there were fewer take-ups of an early retirement incentive. The Pentagon wants to move $1 billion from those funds to provide some of the money for the wall under President Donald Trump’s national emergency declaration. Congress has voted to block that emergency declaration, but Trump is expected to veto the joint resolution. His office pointed us to the March 7 AP story, which other congressional Democrats have tweeted, adding their own twists on the news. If one didn’t read past the headline of the AP story — which said, “Pentagon may tap military pay, pensions for border wall” — it could appear that these claims were well-founded. But we’d expect members of Congress to at least read the lead paragraph of the story before tweeting claims about “cutting” and “raiding” pay and pensions. AP, March 7 story: The Pentagon is planning to tap $1 billion in leftover funds from military pay and pension accounts to help President Donald Trump pay for his long-sought border wall, a top Senate Democrat said Thursday. As for the pension money, Harrison said the Defense Department sets aside money every year to contribute to pension accounts. But when there are fewer service members than expected, because the Army didn’t meet its goal, the department doesn’t need to contribute as much to pension funds. “It absolutely would not affect anyone’s current pension,” he said in a phone interview. “When money gets paid out of the pension fund, it’s set by a formula in law.” That money has to be paid. 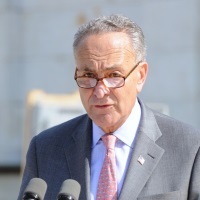 Schumer said “maybe even” pay and pension money would be taken, but the money appropriated to those accounts has to be spent on obligations for this year. The leftover money can’t be rolled over to be used for pay and pension expenses incurred next year. “Basically – it can only be spent on expenses incurred during the one-year initial timeframe,” he said. After five years, the expired funds become “canceled” and can’t be used at all. Harrison, at CSIS, said what normally happens is Congress would identify this leftover money when it’s debating the fiscal 2020 budget, and Congress would rescind it and use it for other spending. The Defense Department can reprogram the money now — move it to another account for another purpose — but that would require congressional approval, he said. The armed services and defense appropriation subcommittees in both chambers of Congress have to approve it, and Harrison said there’s no way that’s going to happen on the House side. But a March 8 article in Military Times quoted a Republican and Democratic member of the House Armed Services Committee saying they were concerned not with the accounts from which the money would be moved, but rather the Defense Department not seeking congressional approval for that reprogramming. “Not following the practice that has been followed by decades will affect the relationship between the legislative branch and executive branch,” Military Times quoted Republican Rep. Mac Thornberry, ranking member of the committee, as saying. The White House has said the emergency declaration would enable the use of $8 billion for the border wall, including $3.6 billion from military construction and $2.5 billion from defense counter-drug activities and other reprogramming. Lawmakers questioned Shanahan about which construction projects could be delayed or canceled to provide funding for the wall at a Senate Armed Services Committee hearing on March 14. Shanahan didn’t offer specifics, other than to say “no projects scheduled to be obligated in this fiscal year” would be canceled. Funds could have been appropriated, however, but not awarded in a contract this year. 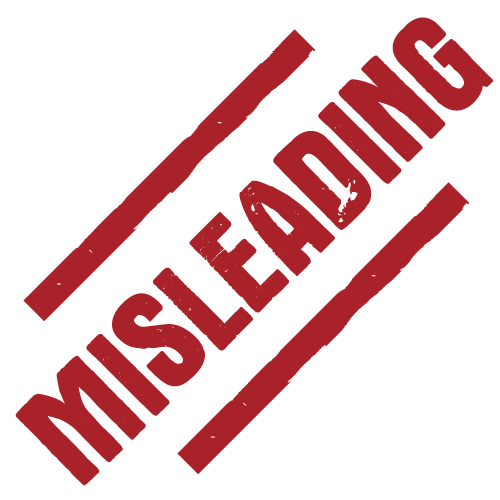 As for the leftover funds in the pay and pension accounts, the acting Pentagon press secretary told Military Times that “no decision has been made” on using that money for the wall, but the publication reported he “did not dispute reports that the idea was discussed.” We contacted the Defense Department press office but did not receive responses to our questions. Even if the department does end up moving the money to fund the wall, it would not be “cutting” or “raiding” military pay and pensions. The president's emergency declaration for the border wall "would take money away from the military ... maybe even military pay and pensions." Previous StoryHow Much Will the ‘Green New Deal’ Cost?